Hibiki 17 Year Old is one of those Japanese Whiskies that is to blame for the Japanese Whisky craze and is just not around anymore. Why you may ask, well because it was sold out, yup and it was sold out not only in Japan but also around the world. A great blend that presents the name Hibiki in a true harmony of blends. Launched back in 1973, Hibiki is the flagship blend hailing from Suntory. You can find no age statements out there, but there is just one Hibiki that was aged for 17 years. 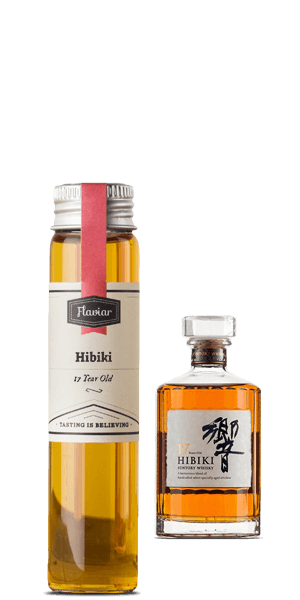 What does Hibiki 17 Year Old (Tasting sample) taste like? The Flavor Spiral™ shows the most common flavors that you'll taste in Hibiki 17 Year Old (Tasting sample) and gives you a chance to have a taste of it before actually tasting it.